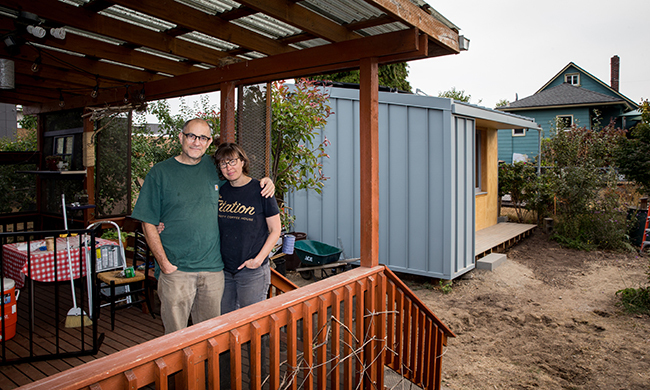 The BLOCK Project invites community into the task of ending homelessness by placing a BLOCK Home in the backyard of one single-family lot on every residentially zoned block within the City of Seattle. Each 125 sq ft home is beautifully designed to be off-grid, self-sufficient, and amenity-rich (featuring a kitchen, bathroom, sleeping area, solar-panels, greywater system, composting toilet, etc.). The BLOCK Project represents an innovative leap forward on the issues of homelessness, cross-class integration, social inclusion, and architectural design. For more click here , and here. This gives a whole new perspective on the NIMBY phenomenon.